I insist you take the above advice! It’s all good. 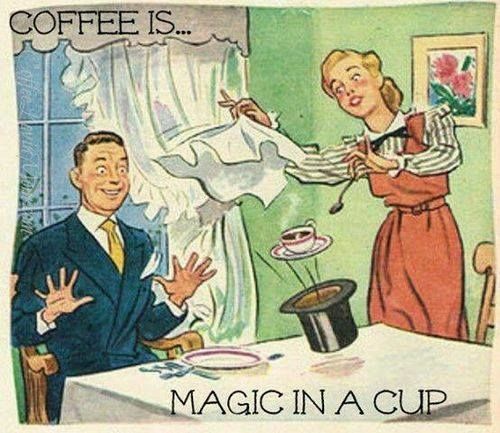 Don’t you love magic? that universal force that makes things happen? No I have not lost my mind,nor am I floating around on a broomstick or waving a magic wand,although I rule nothing out completely! I am talking about the magic in every day life,spring is approaching,new life is slowly appearing,tiny green shoots are poking their beautiful little heads through the earth in search of the sun,is that not magic? Life is ticking along nicely for me just now(Hurrah!) a new business idea is forming,it is a teeny tiny one at the moment,baby steps.I am doing something I love and meeting the most wonderful and inspiring people along the way.I have found my tribe.I am attracting some pretty amazing things into my life,is that not magic? My days are becoming lovely,I am practising Reiki daily,on my family,my pets,plants,food,Heck dont stand in front of me for more than ten minutes or I will Reiki you! I am creating all manner of fragrant and therapeutic loveliness with Aromatherapy oils,scented soy wax candles,bath salts and room sprays.Today is one of those days,if it were a colour it would be a soft vanilla. Previous Article Wonderful words Ms Parker.